UAE-based superyacht builder Gulf Craft has announced the promotion of Erwin Bamps to the position of Chief Executive Officer of the company, following a meeting of the Board that recognised Bamps’ contribution to growing the company’s international presence. Bamps joined Gulf Craft in 2002 as Executive Manager and has been instrumental in building the business and brand locally, regionally and internationally. 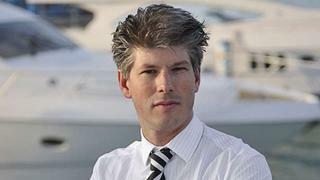 He was promoted to Chief Operating Officer in 2009 and has been the driving force behind developing the enterprise from a family-owned company of 220 employees to a multinational with a global reach and reputation, employing close to 2,000 people and operating in every major boating and yachting market worldwide. ‘The move to the position of Chief Executive Officer recognises his contribution in making Gulf Craft the internationally-recognised company it is today and builds on the company's ambitions to steer an even more successful path in the years to come,’ said Mohammed Al Shaali, Chairman of Gulf Craft.